If you have something special in mind, please feel free to email me or phone me on 0408 923 498 to discuss your ideas. ​I enjoy working with clients to make your idea a reality. I have worked with clients to create one-off artworks as well as small editions - an exclusive gift for friends or family. A memorable and unique gift for birthdays, fathers' day, mothers' day or an anniversary. Your portrait will be lovingly created through a multi stage process. I work with you to develop a design based on your photo. Once you are happy with it, I create and etch a printing plate with the design, print it by hand, then colour it with watercolours. 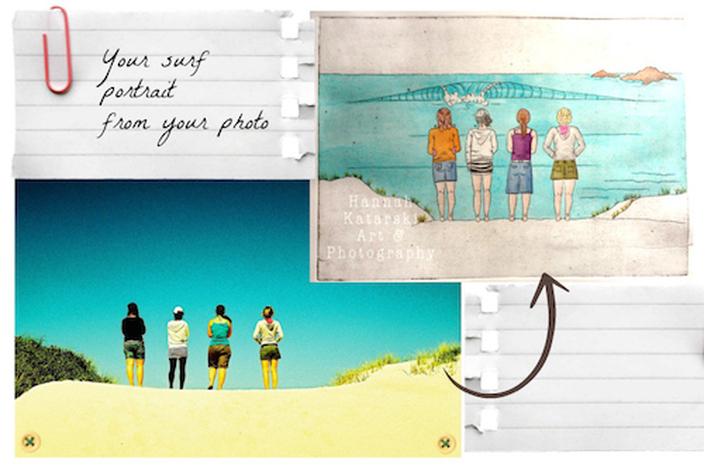 E-mail through your photo along with any other ideas and instructions. I get cracking on some design sketches. You approve the design when happy with it. I create the plate, then print and paint your artwork. Then package and post it to you! What could be more memorable for the surfer, kiter or paddleboarder in your life?! 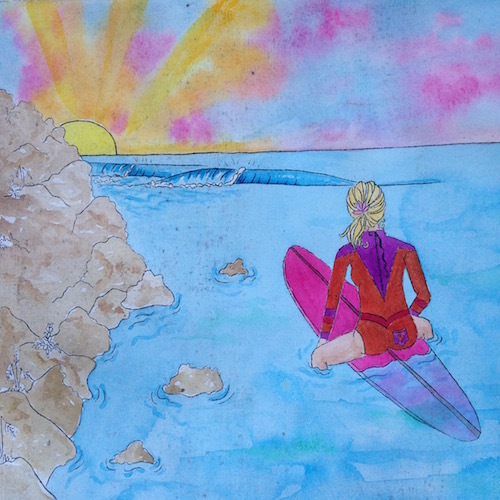 You know how obsessed they are about the ocean, so give in and commission a portrait of them doing what they love. They will be stoked every time they walk past it! Capture that trip to G-Land, that sunset surf at Canggu, your dream wave at Dreamland, Your toes on the nose at Noose Heads. - Additional details that personalise the artwork and make it yours. For example, surfboard colour and design, and other accessories that you can't live without. - The print may form part of a limited edition of only 20 prints. Although each one is hand painted, and therefore unique, printing a small edition keeps the cost of designing your plate low. Any queries? Please don’t hesitate to get in touch. 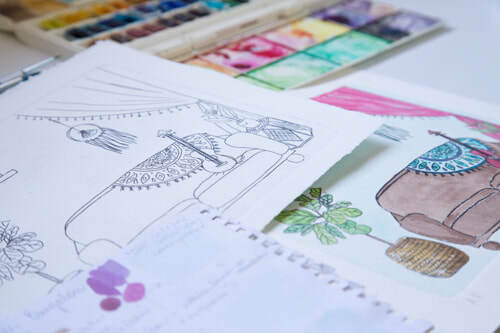 ​I use high quality, acid free, archival paper (Fabriano 200 GSM printmaking paper), Windsor and Newton inks, as well as artist grade etching inks.